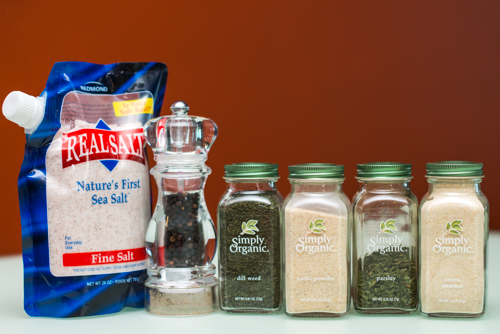 These little treats are the perfect alternative to popcorn or potato chips. 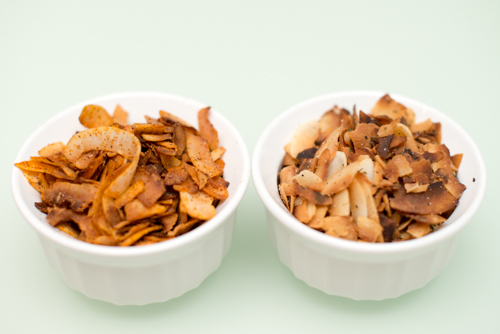 Zesty seasonings and a fun crunchy texture make Toasted Coconut Chips the perfect movie or football-watching snack. Fast to make & best while hot, these recipes are so easy you can whip them up in just minutes! 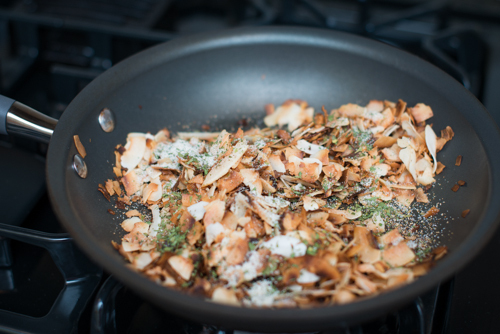 When warm, add the 2 cups of Coconut Flakes to the skillet. 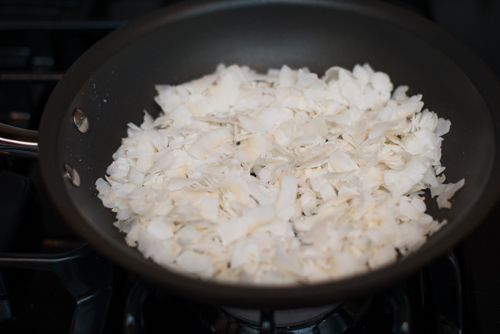 Using a spatula, mix the Coconut Flakes around often for 3-5 minutes, until your Coconut Flakes have reached your desired level of “toastiness”. They will toast quickly, so be sure to keep a close eye on them! When done toasting, remove pan from the heat. 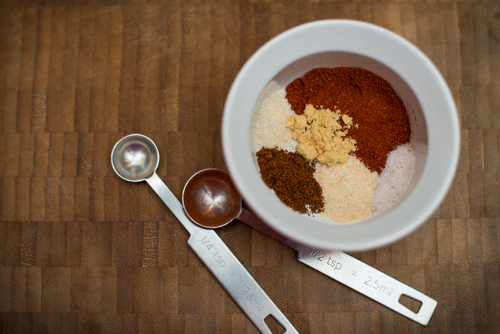 Pour the seasonings from one flavor recipe above into the warm skillet, and toss with the Coconut Flakes until evenly covered. 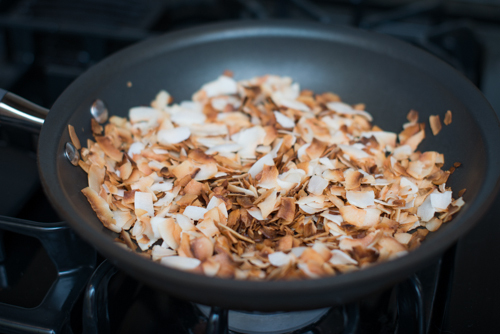 Transfer the seasoned, toasted Coconut Chips to a large, flat dish for cooling. 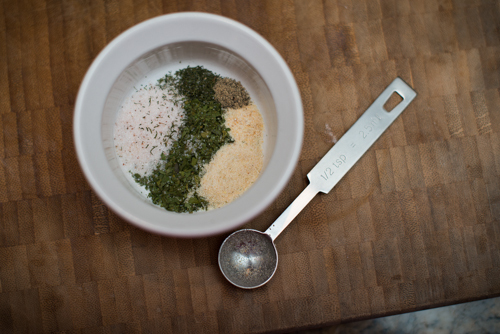 (This will ensure maximum crisp – if the flakes are grouped too closely together, in a bowl for example, they will steam and end up softer). 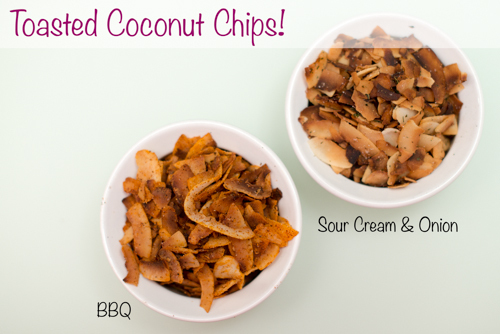 CLICK HERE FOR A PRINTABLE RECIPE OF TOASTED COCONUT CHIPS! These look absolutely amazing and just what I have been searching for. 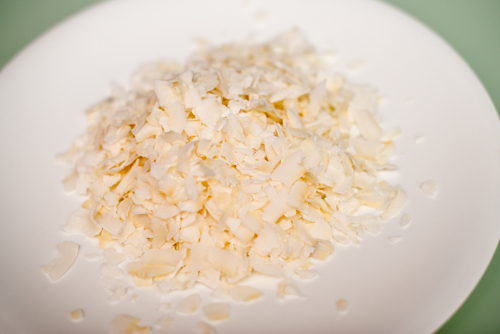 However, where in the world does a person get unsweetened coconut chips or flakes? I cannot find anything like this in my grocery store. 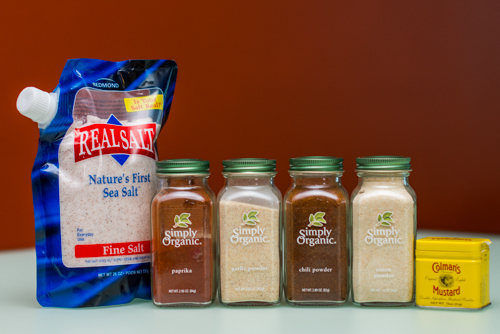 My biggest complaint about many paleo recipes is that they call for ingredients that are either very exotic and impossible to find–or when you do, at a specialty market, prohibitively expensive. 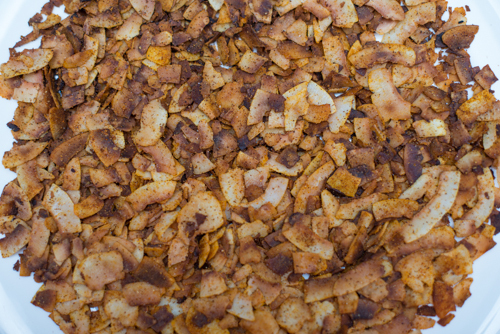 If you have Sprouts in your area, they carry coconut chips. Sometimes they run out, so ask if you don’t see them.